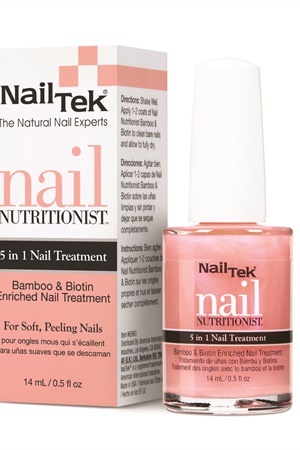 Add strength to nails using the Nail Tek Nail Nutritionist Biotin and Bamboo Nail Treatment. The base coat preps and evens out the nail plates for better polish adhesion, or when worn alone, it can enhance the natural color of the nails with a sheer, pearlescent pink hue. For best results, apply two coats to clean and bare nails. For more information, visit Nail Tek .